Chasin' Mason: Fivin' on Friday. Helllllloooo Friday! I look forward to this day every week and every week it takes forever to get here and then is gone in the blink of an eye. Mason has the day off school today so we will be out and about, but before we get to the weekend, how about we talk about five random things, shall we? I haven't scheduled a Hello Fresh box in a while, mainly because we were moving, but also because as much as I love them, they are kind of expensive. But then. Then I got this email the other day and it intrigued me! I looked in to it a bit more and sadly you can't get a bottle of wine delivered with your food shipment, but you can get a shipment of wine to your doorstep! I imagine its kind of like a wine club where they deliver wine to you (though I don't do that, so I don't fully know), but it sounds awesome! Unfortunately you have to be home to sign, so unless I change my delivery day to Saturday, I'm going to have to hold off on this service for a while. Still super cool they offer it though! At the risk of sounding like an alcoholic, I also got this email a couple months ago and was super excited about it! I mean... someone doing my hair and making me pretty AND I get a free glass of wine or champagne?! Sign. Me. Up. Now I need an excuse to go get my hair done! 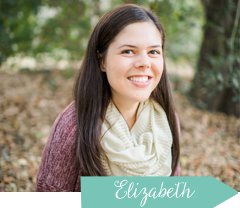 I listened to my very first Podcast a couple weeks ago! Shocking, I know. I think I'm like the only one not listening to podcasts. Anyway, if you follow me on Instagram, you know my love for my Letterfolk letter board and guess what podcast was my first? The one on Joanna and Johnny - the owners and creators of Letterfolk. Yep, clearly I have a problem. BUT I will say that even though I don't plan to be a small business owner or an entrepreneur, I did think their podcast was super interesting and I would highly recommend it! You can find it here if you're interested (#25 on the list from 4/17/17). 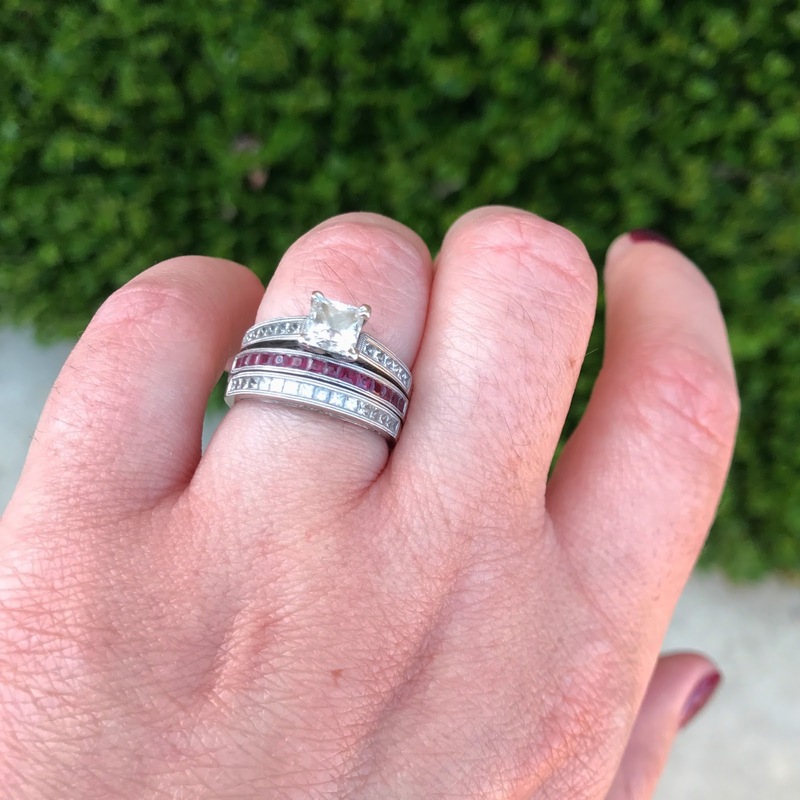 I feel kind of weird sharing pictures of my ring on the blog, but after I mentioned that I got a ring with Mason's birth stone in it, a bunch of people wanted to see pictures, so I thought I'd share here. I'd been wanting to get one of these for FOREVER (or well, more accurately, almost five years now I guess lol), but I couldn't find one that I loved. 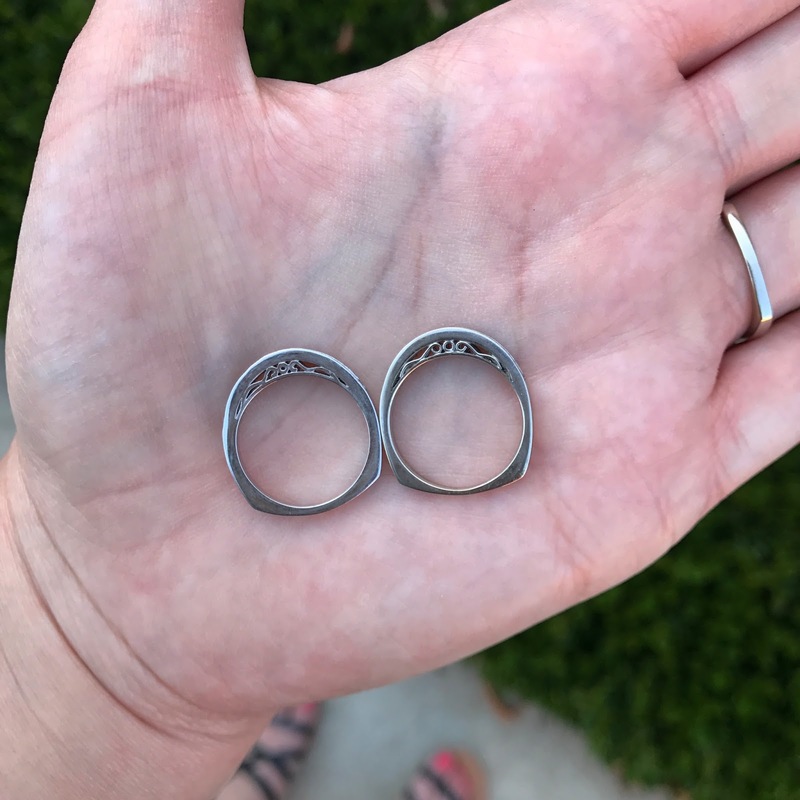 My engagement ring and wedding ring have a special design on the inside (you can see in the picture where I'm holding the rings and you can see the side) and they are also "square rounded" on the bottom, so none of the ones that I found that were pre-made would line up quite right for my liking. I'd find one and I'd like it, but I didn't love it. So, for Mother's Day-ish (I say ish because I got it before Mother's Day), I had one custom made to match my wedding ring, but with rubies (the birth stone for July). It was a bit more expensive than I thought it would be, but I will wear it forever and have since worn it every single day and LOVE it, so I think it was a good investment. 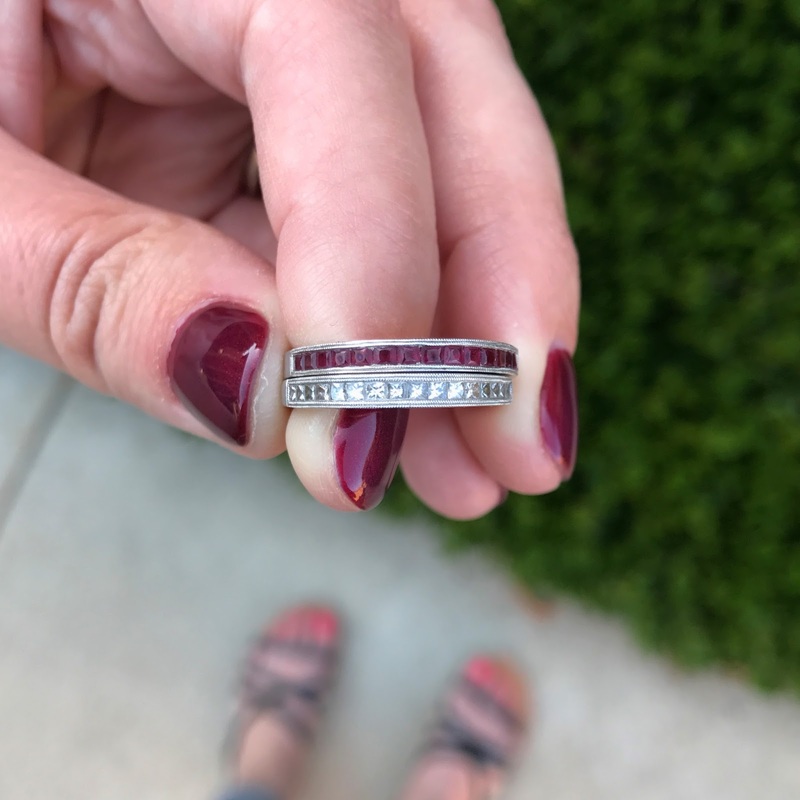 I was wearing it below my wedding band, but my sister in law suggested it engagement ring, ruby ring, wedding ring, and I love it that way and have been wearing it that way ever since. I love having reminders of both of my boys with me at all times! Cars 3 and Despicable Me 3. I am irrationally excited about these two movies coming out. I seriously think I am more excited than Mason. Cars 3 comes out today and Despicable Me 3 comes out on the 30th and I'm super excited to take Mason to the theater to see them. He actually has the day off school today for a teacher in service day, so I took the day off work. Seth also has the day off since it's his 'every other Friday off' Friday off, but he has plans with his dad and he straight up said "you better not take Mason to see Cars 3 without me." LOL! Clearly we are more excited than Mason! With that, here's hoping we make it to the movie theater this weekend! Happy Weekend and Happy Father's Day! 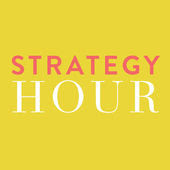 Ohh Strategy Hour sounds awesome! We actually just got a Hello Fresh box this week because we had a coupon code, and I saw that wine thing too! It looks convenient, I might have to give it a try! I miss booze so much, lol! I need a dry bar to come to Missouri! I'm hoping to get the girls to the drive in later this summer when those movies come out! Happy Friday! Are you off on Fridays? Nate is usually off unless he works over time. Even though I work at home I love Fridays because of that reason. I hope you and Mason have the best day together. 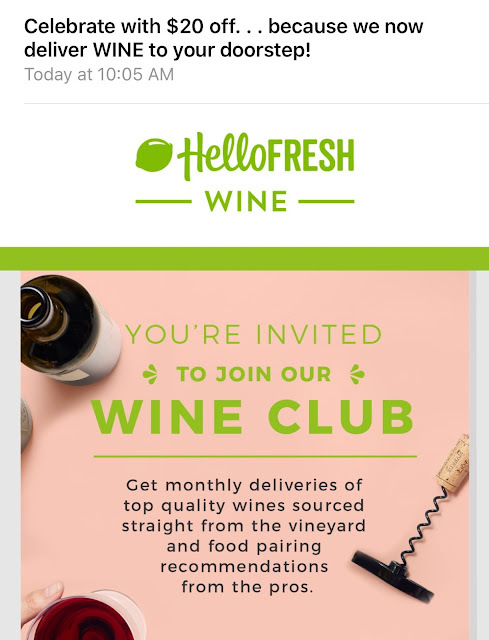 I had no clue that Hello Fresh has a wine club! So cool. I try to listen to podcasts but then I will realize that 5 or so minutes have gone by and I totally tuned out the Podcast. Your rings are beautiful!! LOVE your ring! It's so beautiful. We did a wine of the month club and the having to sign in person can be tricky. We actually ended up having it delivered to a friend's in home daycare because she was always home to sign. Hahah! Love the ring! My boys are excited to see cars 3 too! Happy Friday!! How fun to have a day off with Mason especially. What a fun addition to your wedding rings, very special. 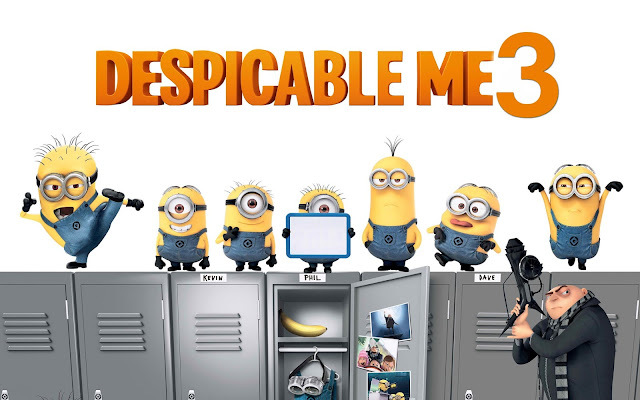 I'm excited for Despicable Me 3 also, they are always cute movies with great music. Theres something unnatural about not being able to drink in the summer time ;) But Ill make due. We're excited about Despicable Me 3 too, it'll be Brielana's second movie theater experience. Your ring is fabulous that looks awesome on you. Thank you very much for sharing it to us. Hello Wine! I would be all about that except that Utah is lame and you can't ship alcohol here!!! My kiddo is 14 and I'm not sure I can talk him into Cars 3 - but I am SO excited. 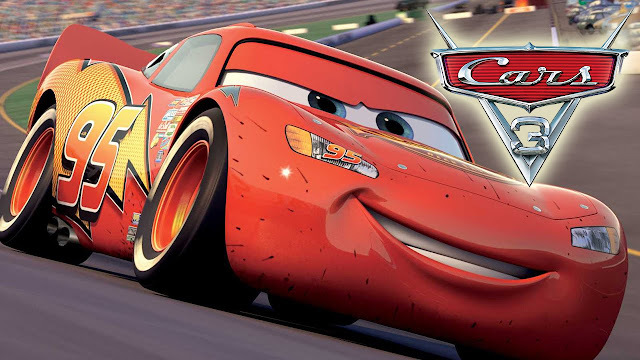 The first Cars was the first movie he saw in a theater. At the risk of sounding like an alcoholic - literally laughed out loud (and then took a sip of my cider). 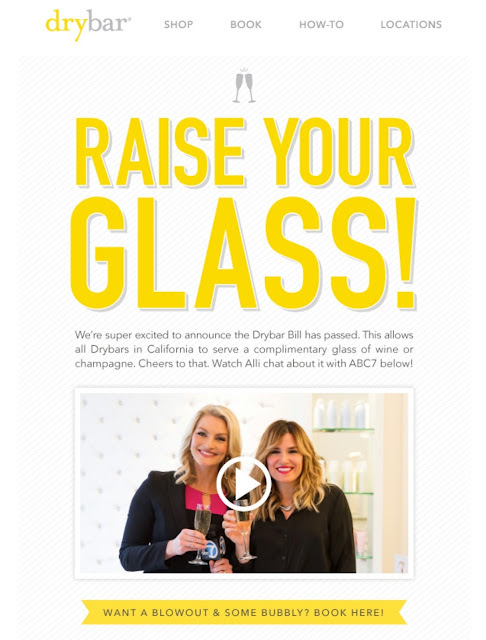 The dry bar + booze does sound awesome! I. LOVE. YOUR. RING! And smart to get it custom made!! It's perfect! Now, I just need to talk Marcus into the new movies. Because I want to see them! We went to see cars 3 on Sunday for Father's Day / Thomas Birthday and we loved it. Ellie seemed to like it too. I have a friend who saw it opening day and wasn't impressed so I'm curious to see how you liked it! !